Au Moulin Skelly is a parody of Henri Toulouse Lautrec’s classic work, Au Moulin Rouge. 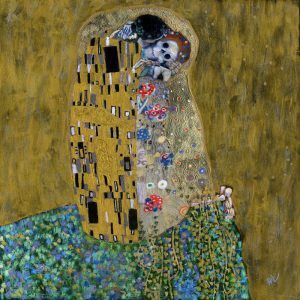 It’s part of my Old (Dead) Masters series in which I skeletonize famous works of art for my own nefarious ends. Free shipping anywhere in the continental USA. 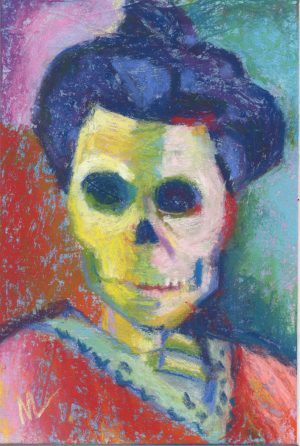 ©2017 Marie Marfia, Au Moulin Skelly, 19.5 x 17″, pastel on paper, $1800. 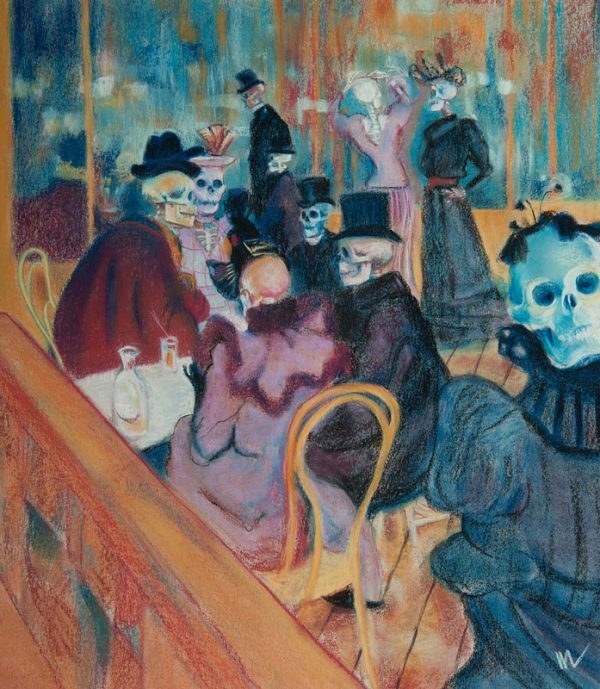 This skelly painting is a parody of Henri Toulouse Lautrec’s Au Moulin Rouge which I’ve skeletonized for my own nefarious ends. Au Moulin Skelly is part of my Old (Dead) Masters series in which I recreate classic works of art with skeletons instead of flesh and blood humans. It’s fun! Pastels are my medium of choice because they’re so versatile and immediate. I love the way the light refracts when it hits the chalk. I love all the different marks you can make with them. This piece was done on Canson mi teintes paper. I used various pastels to recreate Toulouse Lautrec’s masterpiece.